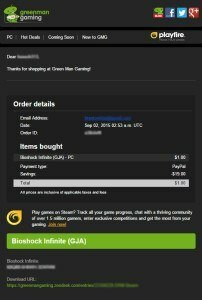 Get Bioshock: Infinite for $1 from Green Man Gaming! 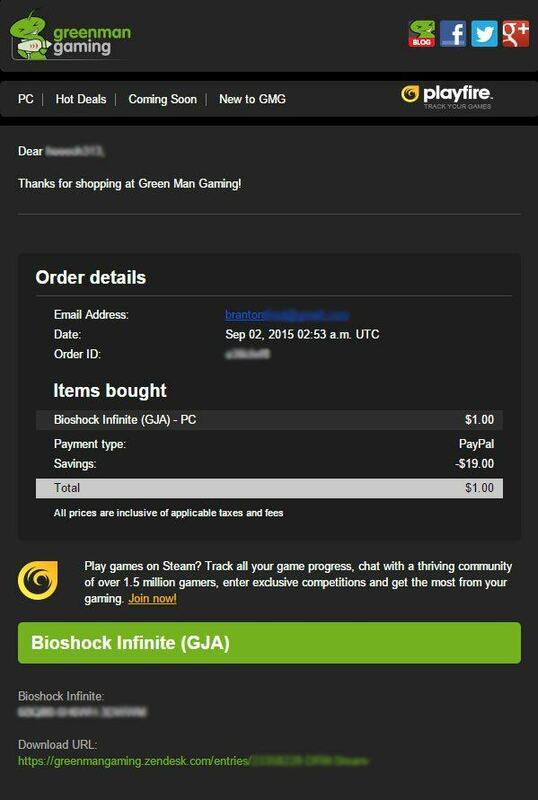 If you’re a fan of Bioshock, but you still don’t have Infinite, you’re in luck, as long as you have $1. Yep, that’s it, just $1. But, there’s a catch..
Before you can get Bioshock: Infinite for next to nothing, you have to place your votes in for the Golden Joysticks award over at GamesRadar first. It’s really simple to do, and it’s even multiple choice, the categories and choices are really interesting, so you might even have fun. It’s going to take you less than 5 minutes, and you’ll be getting a great game for almost nothing! Not a bad trade if you ask me. Once you’re done voting you have to enter some information like name, date of birth and most importantly, your email. Make sure you use your real email because you need it for the next step. After you enter your info etc, you have to go over to the Bioshock: Infinite promo page and then enter your information again, you have to use the same email that you used for the voting part, otherwise it won’t work. Now you’re going to get a confirmation email and from that point on, all you have to do is follow the prompts as you get them. You actually get your $1 back in the form of GMG credit, but only after you play the game for a second, so I guess you’re actually getting Bioshock: Infinite for free. The screenshot to the right is actually clipped out of the confirmation email I received from GMG after completing all of the steps, you can clearly see that this is 100% legit. As you can see, it’s a simple process, and if you really want Bioshock: Infinite for $1, it won’t seem like a hassle. Even if you already have a copy, you could give this one away to a friend! That’s what I did. I don’t get anything out of this, and I’m only posting this so more people can take advantage of this amazing deal! What do you think? 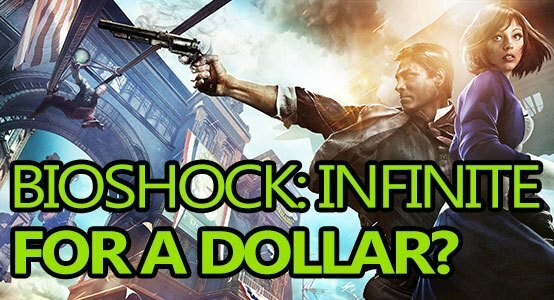 Is Bioshock: Infinite worth $1? Let us know below!